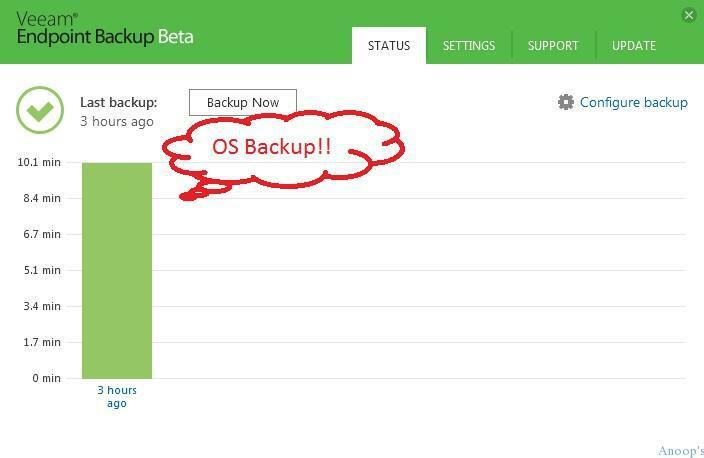 Veeam Endpoint Backup is the first FREE enterprise class Endpoint backup solution. I had a chance to test the beta version of the product. 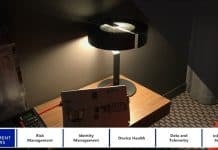 In my previous post, I’ve covered “How to Take Backup of Desktop Laptop Machines and Protect Data Using Veeam Endpoint“. 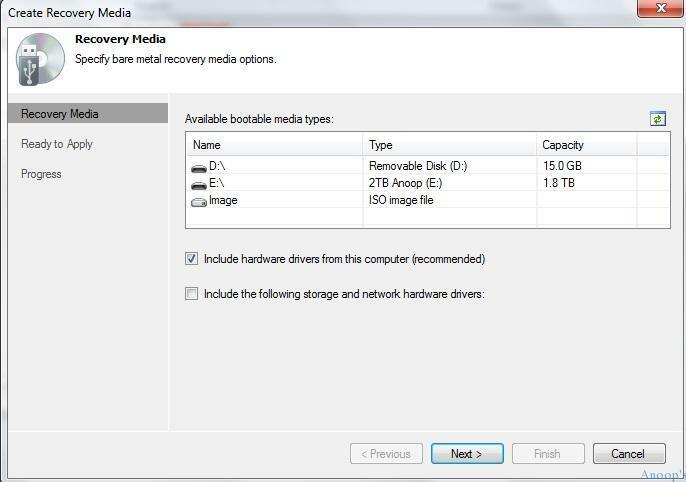 In this post, we’ll cover how to create recovery Media (USB) and how to recover the crashed operating system of your laptop and desktop (Windows 7 and Windows 8) along with all installed applications and data. 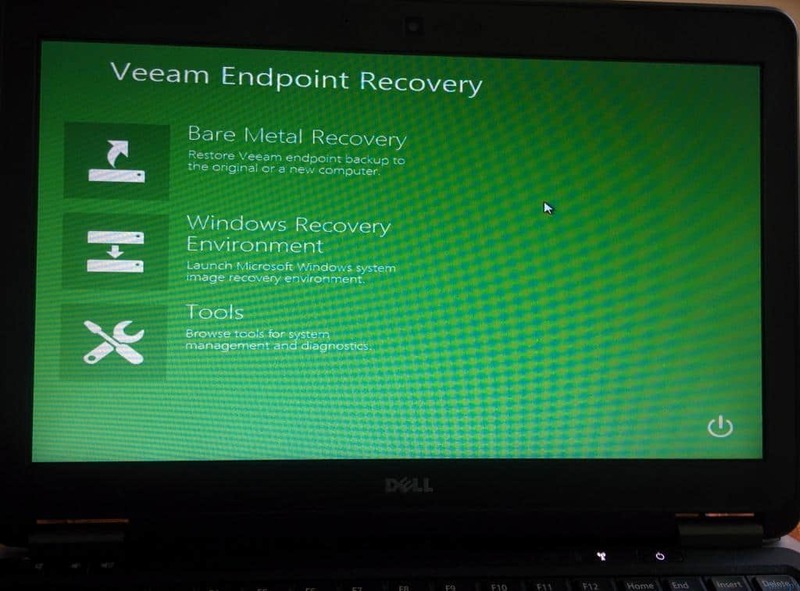 Also there is video tutorial below will help you understand how easy the actual process of recovery of crashed laptop using Veeam Endpoint. 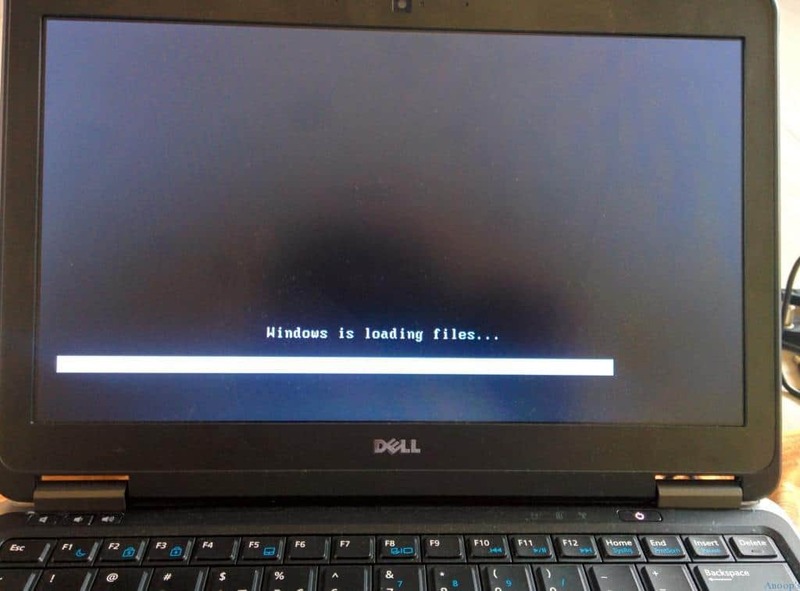 In a Scenario that your Windows laptop got crashed and it’s not booting up. So what can you do now? Are you try to repair it ? I don’t think I’ll try to repair the OS as I know that can make things worst sometimes. I would suggest to use Veeam Endpoint Backup and Recovery media to restore laptop/desktop operating system with all installed apps and data. First of all we need to take Operating System backup using File Based Backup and Select Operating System as mentioned in my previous post here. 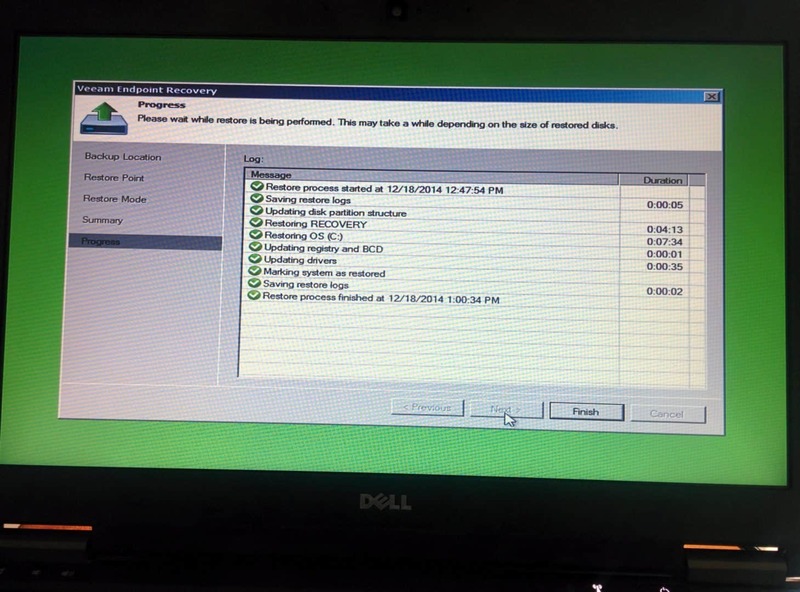 In the following example you can see the File Based (Operating System Veeam Endpoint) backup completed in 10 minutes for the dell laptop. 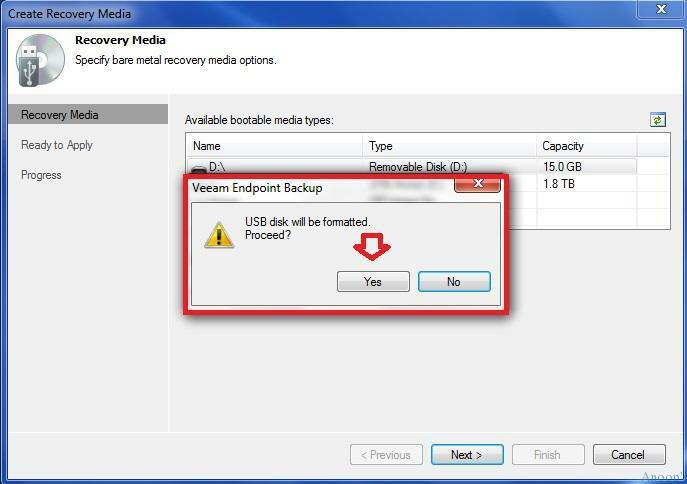 How to Create Recovery Media from Veeam Endpoint Backup and Recovery solution? 1. 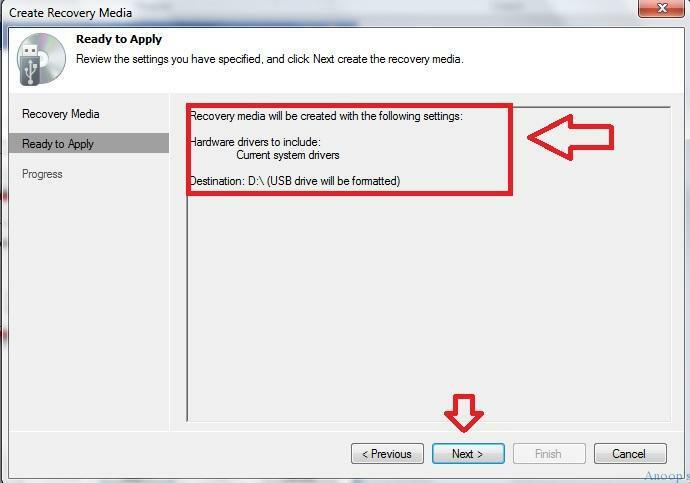 Select “Create Recovery Media” shortcut from the start menu. 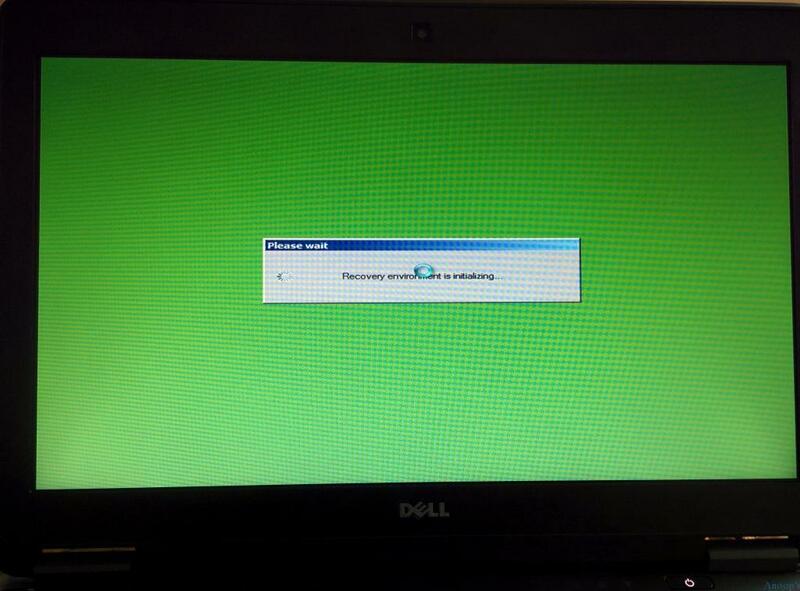 In the Veeam advanced Recovery Disk creation wizard. I’ve selected D drive which is my USB removal disk. Make sure you’ve removed all the data from USB as part recovery media creation as the USB will get formatted. Better to select Include hardware drivers from this computer option. 2. Click YES to format the USB Disk and Click NEXT. 3. On Ready to Apply page, click on NEXT. 4. On the progress page of Veeam Endpoint backup and Recovery solution, you’ll be able to see following components are completed successfully. Click on NEXT. 5. 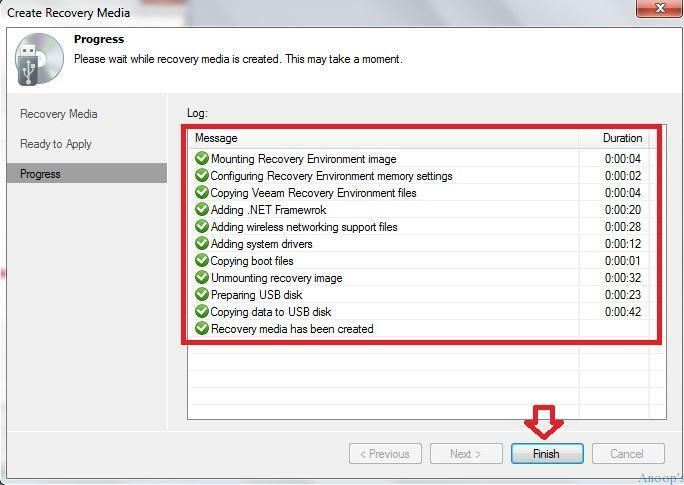 Veeam Recovery Media (USB Drive ) is ready now. 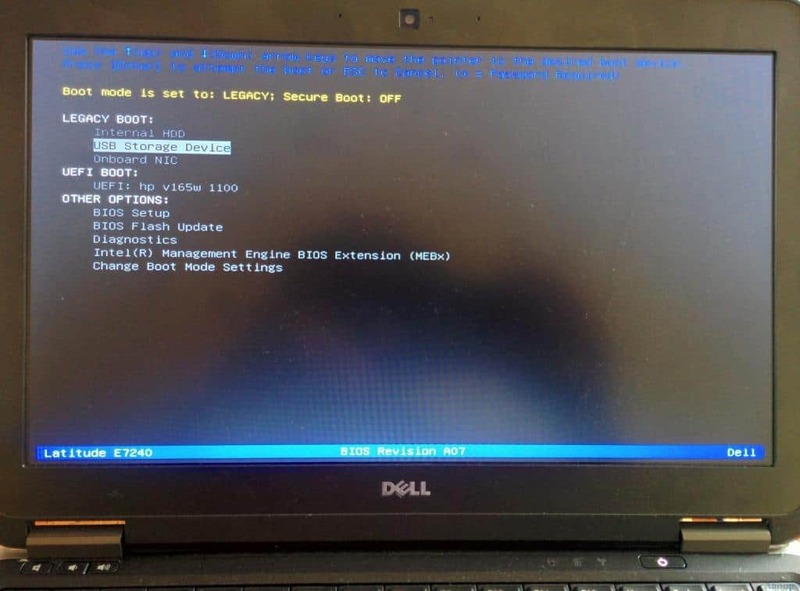 How to recover the crashed operating system of your laptop and desktop (Windows 7 and Windows 8) along with all installed applications and data? 1. Boot the Laptop or Desktop from Veeam Recovery Media (USB drive). 3. Machine is getting ready for Recovery Environment !! 4. select Bare Metal Recovery. 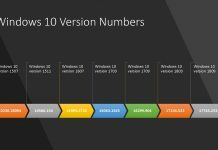 This will help to restore Veeam Endpoint backup to the Original or a New Computer. 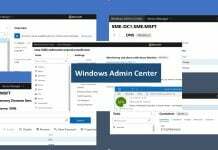 There are some other useful tools as you can see in the Video “Administrator Password reset” etc..
5. At the end of this process you’ve successfully restored your laptop / desktop with all the applications and data intact using Veeam Recovery Media and Veeam File Based backup as mentioned in the above section of the post. Next articleThank You !! Happy and Exciting New Year 2015 !!! !